Your wedding day will be a moment in time with memories that last forever, but once you get engaged and pick a date, it can be overwhelming to start planning. When you choose Myrtle Beach Group Sales as your wedding venue provider, you’ll discover we’re right there with you, helping you make your special day all you wished it could be. We offer an array of services from hotel rooms for your out of time guests, spectacular venue locations of your ceremony and your reception, unique crafted dining menus, complimentary rentals and a full list of preferred local vendors for such needs as flowers, entertainment, and additional rentals. It’s your day and we are here to help with an open mind and open heart. With over 3,500 rooms and an assortment of layouts to choose from, our group sales department can help you find the ideal room for your guests. Looking for the perfect wedding venue? We have a full list of resorts that offer a great selection of spaces that range in size, design and ambiance. If your dream is to have the beautiful ocean be your wedding backdrop, we have an array of oceanfront spaces perfect for your special day. Our wedding catering menus include several options to suit every budget and theme. Our talented catering staff will help create a superb dining menu. We’re not only in the business of providing the perfect venues for that special day, but we are also here to provide suggested vendors with proven track records. Click here to check out our preferred vendor list. When you choose us as your preferred venue for the big day, you will have full access to complimentary rentals, such as tables and chairs, white lines, glassware and china. We believe this day should be as unique as you are! Providing indoor and outdoor venues, table, chairs, dance floor and a full service catering menu we are excited to help make your rehearsal dinner, ceremony and reception distinctive. We will assist you in finding local vendors for venue decor, cake, flowers, photographers and entertainment. For your out-of-town guests, we offer a wide selection of accommodations and exciting amenities. 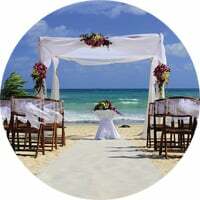 Let The Breakers Resort help make your wedding day unforgettable. Exceeding the extraordinary, North Beach Plantation is a legendary coastal location tucked away in the prestigious north end of Myrtle Beach, SC. With our magnificent grand towers facing the southern Atlantic Ocean your group will experience more than you could ever have imagined! Partnered with 21 Main Events we specialize in weddings big and small! We invite you to come experience our spacious event venues designed to push the luxury limits. Let our dynamic and sophisticated event professionals take all of the work off of your hands and ensure we cap your wedding expectations! Weather you dream of a small intimate celebration or something of a more lavish scale, our Ocean Reef group specialists are here to make your wedding vision a reality. We understand that your wedding day is one of the most important days of your life and we want to help set your mind at ease with our exceptional event expertise and services. Offering indoor and outdoor venue space, we provided you with tables, chairs, a wedding arch and a full service catering menu, along with the best preferred vendors list to take care of all of your decor desires!